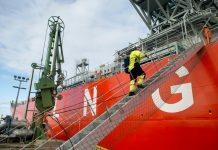 LAHORE: Around one out of three likely investors, Pakistan GasPort looks poised to forge forward with its plan to establish Pakistan’s 3rd liquefied natural gas (LNG) terminal for import of over 5.5mtpa gas. Pakistan GasPort is aiming to sell it directly to big consumers like the industry and private power producers reports Dawn. The development comes amidst policy fickleness and delays in approval of guidelines which permit private companies to get access to and share existing government-owned pipeline infrastructure for gas supplies. Chairman Associated Group Iqbal Z. Ahmed said it has appropriate government consent and has received provisional Oil and Gas Regulatory Authority (Ogra) licence and organized Floating Storage Regasification Unit (FSRU). Mr Ahmed said the company intended to commence work on the facility in one month and will aim to meet all their cutoff date. The AG chairman declared the terminal will be commissioned in the 1st quarter of 2020. 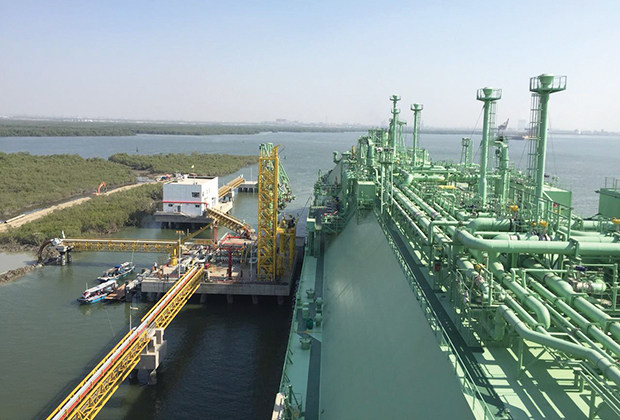 This is the 2nd LNG terminal that Pakistan GasPort is involved in, after opening its doors to the country’s second one last year. It is working in tandem with Trafigura, a Singapore-based commodity trading and logistics company to establish its second terminal at cost of half a billion dollars. On the other hand, the other two syndicates—Pakistan Energy Gateway constituting of Fatima Group, Engro Corporation and Shell Exploration BV has decided to delay work on the project for around a year and is improbable to commence work on it before 2020. However, Engro refused to comment about the aforementioned project. 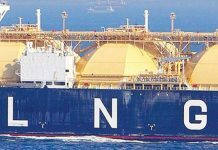 The third syndicate constituting of Lucky Cement and ExxonMobil stands disbanded and last year it was reported that the latter had pulled out of a six-member consortium which was interested in establishing an LNG terminal in Pakistan.